Our BEGINNER LEVEL classes are for students aged 7 years old and up and ranked White Belt to Blue Belt. These students discover karate by learning basis techniques (KIHON) and practicing sequences of simple techniques (KATA). They also experience fighting (KUMITE) with drills executed two by two and by participating in light sparring under supervision. 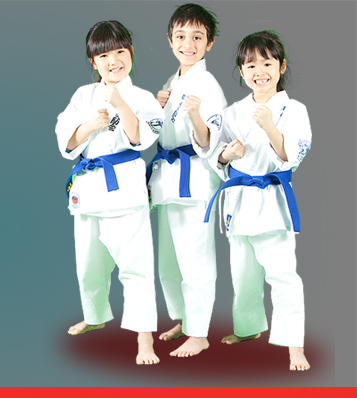 From the start, our students are exposed to the various aspects of karate, in accordance with Japanese tradition. Our beginner level karate classes allow our students to develop balance, concentration and self confidence in an inclusive and safe environment. They discover the dojo’s rules of conduct as well as Japanese terminology. They acquire a solid technical basis that will open the way toward intermediate level classes.